Studio image of pet on white with Veterinary device, the Assisi Loop, Commercial photography by Kevin Brusie. 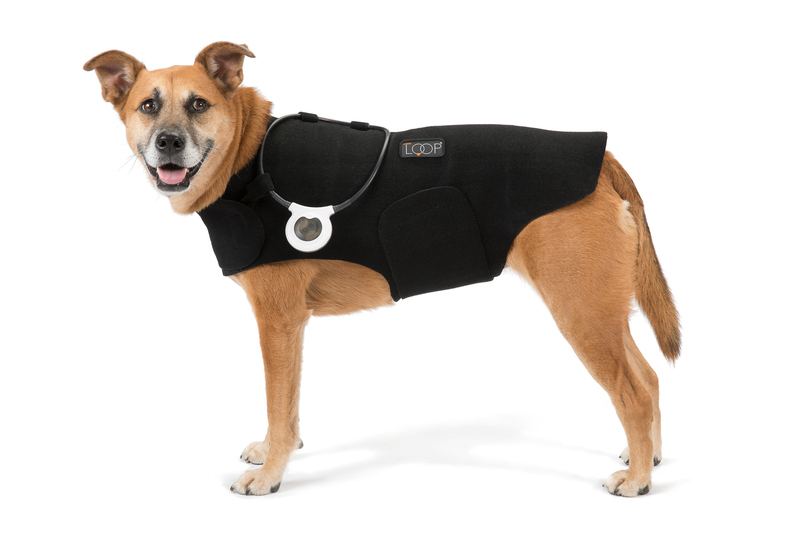 Advertising photograph of a pet wearing the vest and Assisi Loop, to promote healing. I love his eye contact. Commercial photography of pets can be challenging, but fun when it all clicks. I love making images for my Veterinary Science clients.